Who doesn't love an award? At Brightcove, we're no exception! Our product team works tirelessly to deliver the best possible online video solutions to our customers across the digital media and digital marketing arenas--so it truly means a lot when we're recognized for our efforts. 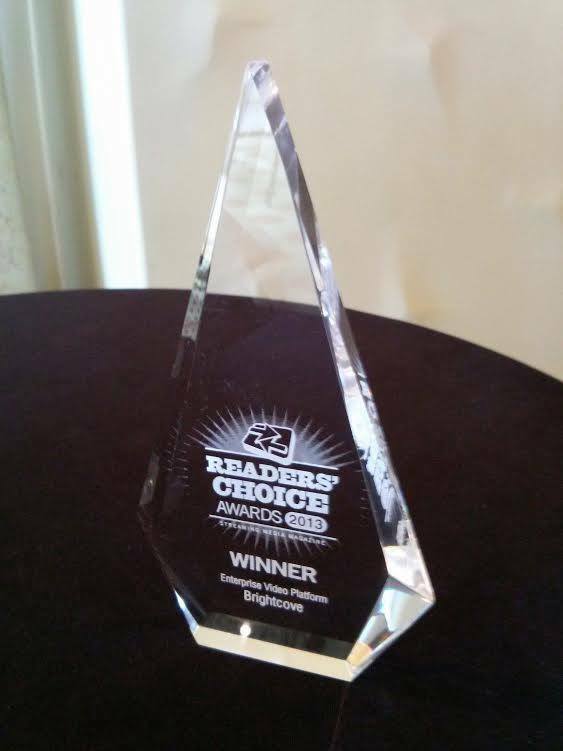 In recent weeks, we’ve been the lucky recipients of two important industry designations--Streaming Media's Reader's Choice Awards and the EContent 100. EContent, an important outlet covering news in the digital publishing, media and marketing industries, includes Brightcove on the 2013-2014 "EContent 100," a list of the companies that "matter most" in the digital content industry. We're thrilled to be recognized amidst other companies whose work and technology we greatly admire. These awards offer exciting momentum as we move into a busy 2014!